Three outlets of Zorambo are open in the Millennium City, Gurugram - Central Plaza in Golf Course Road, D Block Shopping Plaza in South City 2 and JMD Megapolis in Sohna Road. Zorambo is a first of its kind ‘Born in India’ Caftaurant that serves some great coffee, tea, shakes, awesome variety of Indian snacks, mouth-watering desserts and provide a pleasant experience for the customers to come, relax and enjoy the Zorambo experience. The premium-yet-pocket-friendly one-stop-shop with sufficient food and beverage options to substitute for both - a coffee house and a restaurant. Zorambo has curated co-working space wherein a customer can simply plug his laptop and plan meetings outside of his workspace. Three outlets are open in the Millennium City, Gurugram- Central Plaza in Golf Course Road, D Block Shopping Plaza in South City 2 and JMD Megapolis in Sohna Road. Zorambo, the world’s largest Caftaurant chain was formally launched through its first premium outlet at Central Plaza, Golf Course Road, Gurugram. The company is pursuing an aggressive growth plan, which will see an expansion scaling to 200 outlets in India, the UK, Ireland, Germany and Singapore over the next 48 months and plans to hit the 5000 mark by the end of 2030 via distribution led model. Also Read: Gourmet Pizzas in Just 5 Minutes! Zorambo’s premium outlets will be strategically located in Tier 1 cities of India across corporate houses, residential complexes and universities and Indian dominated catchments abroad along with busy zones like bus terminals, tube stations, stadiums, entertainment zones and many more. The Caftaurant format within the global food and beverage services industry offers the potential to capture one of the highest volumes of consumers spends and evolve into the fastest growing concept. The Caftaurant concept addresses some of the legacy ‘pain points’ like lack of Indian fusion food options at cafes and sufficient beverage options at restaurants. Zorambo will offer premium experience yet pocket-friendly and lip-smacking Indian fusion food options that will appeal to the affluent masses with sufficient food and beverage options to substitute a coffee house and a restaurant. Chetan Bhagat, the best-selling author graced the launch event as the chief guest along with other eminent personalities like Anurag Bhushan, Joint Secretary, Ministry of External Affairs, Dr Vivek Mansingh, General Partner Your Nest Venture Capital and Chairman AxisCades and Ramesh Awtaney, Founder and Chairman, ISON Group. 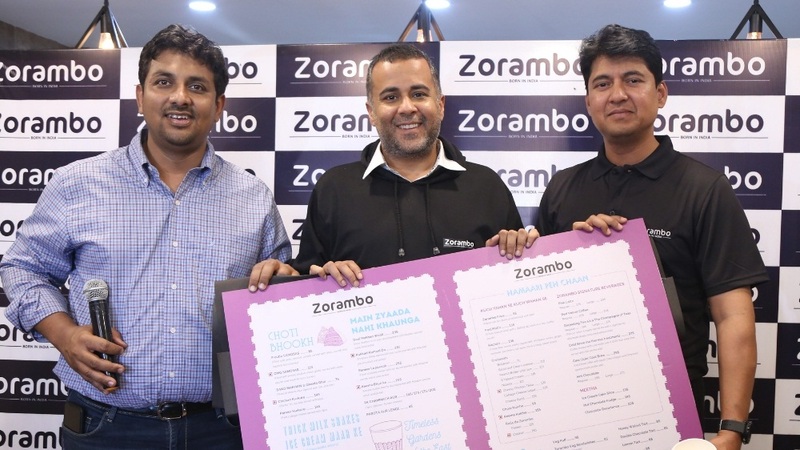 Zorambo is aiming at consumers who want to discover Indian street food gastronomy with a twist of fusion in the convenience of a curated experience which current cafes and restaurants are limited to deliver. About Us: BonBeno's Journey started 3 years ago when the founder Vinay.. Eyeing Profit Share Beauty Industry..
How to Start Your Own Business..
San Francisco, London not Behind in Idli Love..
QSR Brands Making The Most Out of Technology..
5 Ways to Start a Plastic Recycling Business..